Established in August 1997, the Central Texas Tennis Association of Austin, Texas, is a 501 (c) (3) non-profit, tax-exempt organization established in August 1997. We are part of the newly created Southwest Regional Chapter of the American Tennis Association which include chapters in Austin, Houston, Dallas, and Oklahoma City. CTTA started with only a hand full of kids but after some years, have grown to over 1,200. CTTA has no paid staff or a “real” tennis site to call our home, but make use of city parks, schools, and recreation centers. Our programs are year round, with an after school program and the National Junior Tennis League (NJTL) during the summer. Founded by Sarah Pernell, a wife and a mother of 3, tennis was a way to entertain her youngest child while the two oldest were involved in several activities. Sarah learned about tennis as her son continued playing and moving up the ranks of Texas’ top players. While attending tournaments all over Texas, Sarah noticed the lack of minority presence, primarily African Americans and Hispanics involved in the sport. With a newfound determination, she began plans for establishing CTTA to provide lessons to children and adults in East Austin. With a startup grant of $500.00 from USTA, CTTA was born. CTTA sponsors several tennis classes for the young and old alike, and beginners as well as more advanced players. After tireless years of dedication, our youth development program has grown to become one of the largest in the Austin area. To finance these activities, CTTA began housing our annual Summer Jam Tennis Tournament as a way to raise money for our various programs. Our first tournament in 1998 had a little over 96 participants. Today, Summer Jam has participants from Texas, Louisiana, Alabama, and Oklahoma (to name a few) attending each year, making it one of our most successful fundraisers of the year. 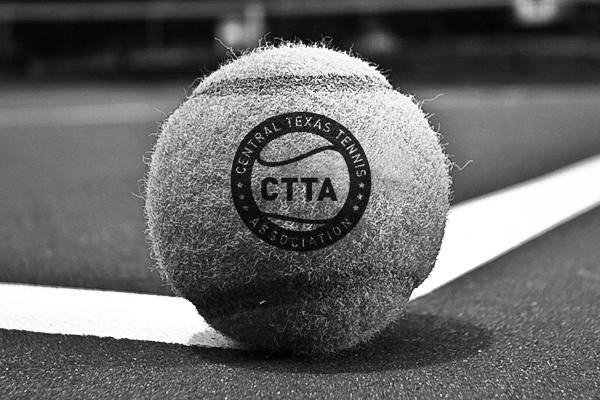 CTTA pray for continued support from established programs such as the USTA, City of Austin Parks and Recreation Department, local tennis facilities and from friends in both cash and in-kind donations. • CTTA provides tennis instruction and classes to youth, adults, and seniors. • Distribute tennis racquets, clothing and shoes to participants. • Purchase new racquets for advanced players. • Sponsor Juniors for private tennis lessons. • Sponsor children in other activities during the school year. • Establish Tennis & Travel Tournament Teams and other advanced opportunities. • We are committed in our efforts to develop an active tennis organization in Austin and Central Texas. We look forward to longevity and enduring partnerships.